We are mere weeks away from what is collectively known as the greatest night of the entire year; that’s right, it’s almost New Year’s Eve! 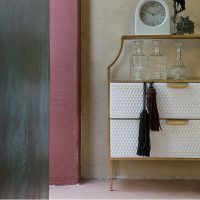 So in true Cuckooland style we are going to bring you the most cuckoo, crazy and darn right quirky essentials that you will need to throw the party of the century. 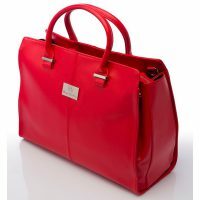 Never mind party poppers and silly hats, these are the absolute essentials for the greatest party of the year! Champagne and New Years Eve go together like Zebarella and style, darling! Nothing sets off the party like a good few bottles of the posh stuff. 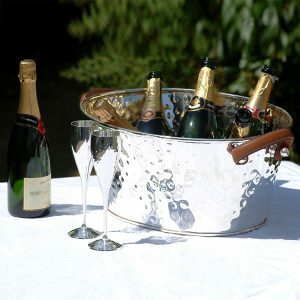 So make sure you present your piece de resistance in true style with the Silver-Plated Large Champagne Bath. This mammoth bath could hold a small child or six bottles of the finest champers. Plated in real silver this party addition is sure to the set the scene for a great night. Let’s be honest, nothing zaps the fizz out of a party faster than a warm glass of white wine. With the party heat turned way up we are always in danger of a warm glass. 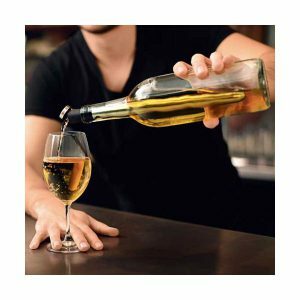 But fear not for the Corkcicle One is here to rescue your bottle of Chardonnay! The Corkcicle One is the world’s first in-bottle wine chilling cork, it aerates your wine as you pour and keeps your wine bottles chilled. Impress just about everyone at your New Years Eve party with the Corkcicle One. Without the music there’s no party, this has been a fact since the dawn of time. But how you choose to play music is, of course, the real party factor. So why not add a bit of retro goodness to your New Years Eve party with a Jam Record Player. 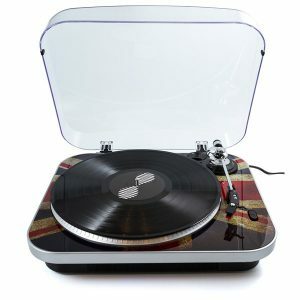 This ultra-cool record player in Union Jack design plays all record variants 33/45/78. It features two built-in, high-quality speakers with play/pause lift arm, a blue LED volume light and rotating power controls. The Stylo Record Player is guaranteed to get everyone into the groove! How about something to really make the party; Something immense, something outrageous, something totally Cuckooland? How about The Wooden Dutchtub. This incredible hot tub should be at every great party. Nothing brings in the new year with a bang like a hot tub and champagne! The Wooden Dutchtub is an eco-friendly outdoor hot tub which fits four people. So create some really envy from the neighbours with your very own hot tub party! Of course, if you’re going to have an outdoor hot tub how about some outdoor dining too? 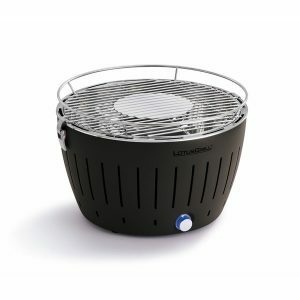 The award-winning Lotus Grill BBQ is an absolute essential for any party. This battery powered BBQ is ready to cook in four minutes, meaning you can ensure that nobody waits around for party food. If your New Years Eve party is more sophisticated fun then all-out party night then we recommend the very stylist Cartridge Wine Bottle Holder by Culinary Concept. This silver plated Wine Bottle Holder would take pride of place at a dinner party as you chat the night away with your nearest and dearest. So you held what will be forever known as the greatest party of all time, which of course should be remembered. 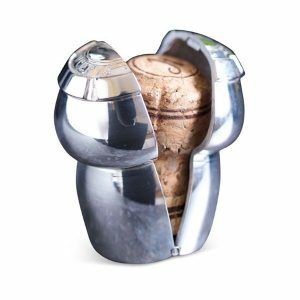 The Champagne Cork Keeper is the perfect party memento. 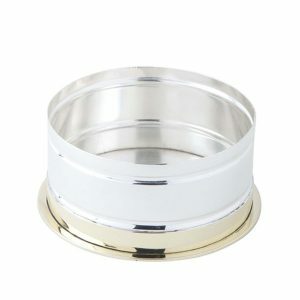 Whats more, this silver plated cork keeper makes a unique gift idea for special birthdays, wedding gifts or any major occasion. 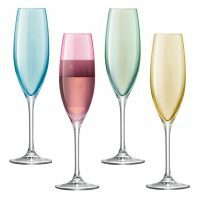 For more party essentials why not check out our awesome party and barware collection here. We have everything you will ever need to throw the best party. 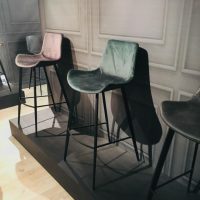 If you need a little helping hand deciding on your party essentials, why not get in touch with our expert party planners. Simply call us on +44 (0) 1305 231231 Mon-Fri 9-6pm or email customerservice@cuckooland.com and our super friendly team will reply immediately.